September 17, 2018 -- A large international survey of radiation dose has demonstrated a huge reduction of radiation exposure in coronary CT angiography (CCTA) over the last decade. The study has shown that doctors have reduced radiation exposure while maintaining image quality, potentially setting the stage for CCTA use in future screening programs. The research group found that radiation dose from CCTA decreased by nearly 80% between 2007 and 2017 in the Prospective Multicenter Registry on Radiation Dose Estimates of Cardiac CT Angiography in Daily Practice in 2017 (PROTECTION VI), with the findings published online in the European Heart Journal (25 August 2018). The study included 61 hospitals from 32 countries that prospectively enrolled 4,502 patients undergoing CCTA during one calendar month in 2017. The researchers then analyzed CCTA scan data and images in a central core lab and compared them with those from a similar survey in 2007 involving 1,965 patients conducted across 60 hospitals that were using CT technology of the time -- predominantly 64-slice scanners (96%) compared with mainly 128-slice scanners (91%) in the current study. 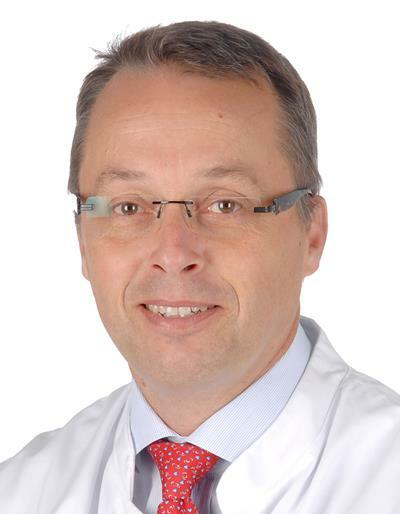 Dr. Jörg Hausleiter from Ludwig Maximilians University Hospital. "We expected to see a 50% reduction that still would have been a major achievement, but an 80% reduction was unbelievable. For patients undergoing CTA, whose age in our study averaged around 60, the risk of radiation-induced cancer is almost negligible and this study will do much to quell the fears of radiation-sensitive populations," said study lead Dr. Jörg Hausleiter, a consultant cardiologist at Ludwig Maximilians University Hospital (LMU) in Munich. "Furthermore, as we revealed that fewer than 2% of coronary CTA are nondiagnostic, nearly the same as 10 years ago, this means that hospitals are achieving sufficient diagnostic quality with lower radiation dose due to improved technology and the careful tailoring of protocols. Consequently, we can start to think about coronary CTA as an acceptable screening technique for coronary artery disease, a major cause of death worldwide." He believes the next step could be large prospective randomized trials involving thousands of patients to test if coronary CTA could qualify as an efficient screening test, particularly given the recent significant results from the SCOT-HEART trial announced at the European Society of Cardiology congress in August that showed a 41% reduction in mortality through using CCTA as a diagnostic test for coronary artery disease. PROTECTION VI, the current survey, was an international prospective observational study that aimed to analyze radiation dose from CCTA scans worldwide. In the study, the average patient was 60 years old with an average weight of 78 kg and a body mass index (BMI) of 26.8 kg/m2, compared with an average weight of 77 kg and BMI of 26.2 kg/m2 in 2007. Ninety percent of patients (4,055) underwent exams in sinus rhythm (compared with 95%, 1,874 patients, in 2007), while 66% (2,973) received beta-blockers resulting in a median heart rate of 60 beats per minute (bpm), compared with beta-blocker administration in 58% (1,137) and a median heart rate of 61 bpm in 2007. The main indication for CCTA was coronary artery evaluation (89%, 4,006 patients in 2017 versus 82%, 1,611 patients in 2007). The median dose length product (DLP) for CCTA (DLP CTA) was 195 mGy*cm (corresponding to an effective dose of 2.7 mSv or 5.1 mSv depending on conversion factor), and this represented a 78% reduction compared with the 2007 DLP CTA of 885 mGy*cm (p < 0.001), according to the study authors. Importantly, when compared with the 2007 dose survey, the reduction in radiation dose did not increase the rate of nondiagnostic CTA studies (1.9% in 2017 versus 1.7% in 2007, p = 0.55). Local investigators assessed the diagnostic image quality of CCTAs, and defined it as nondiagnostic by severe vessel blurring or vessel discontinuity due to reconstruction artifacts, which did not allow the exclusion of obstructive coronary lesions. They considered CTAs as nondiagnostic when at least one coronary artery was of nondiagnostic image quality. Local study investigators selected their own strategies for dose reduction ranging from techniques considered the least radiation efficient such as retrospectively electrocardiogram (ECG)-gated helical scan protocols to those considered more efficient such as the prospectively ECG-triggered scan, including the axial and high-pitch scan modes. Techniques also included reducing the tube potential from 120 kVp to 100 kVp and also combining iterative image reconstruction (IR) with reduced radiation tube currents to reduce exposure during CCTA without compromising diagnostic image quality, the authors noted. In other results, the use of a tube potential of 100 kVp or less increased significantly from 5% in 2007 to 56% in the 2017 survey. Specifically, 6% and 70% of patients with a BMI threshold of 30 kg/m2 or less were studied with a 100 kVp or less scan protocol in the 2007 and 2017 dose surveys, respectively. In the current survey, retrospective helical imaging was used in only 11% of patients (compared with 96% in 2007), while prospectively ECG-triggered axial scanning was performed in 78% of patients (6% in 2007) and ECG-triggered high-pitch helical imaging in a further 11%, with these latter prospective scan modes resulting in a 74% radiation reduction. Image reconstruction, unavailable in 2007, was used in 83% of patients in 2017, resulting in a 33% reduction of radiation dose, the authors stated. Change of radiation dose in CCTA by independent patient and scan-associated factors as identified by a multivariable linear regression analysis. Retrospective electrocardiogram-gated low pitch helical and prospective electrocardiogram-triggered high-pitch helical scan modes were compared with the axial scan technique. The PROTECTION VI study also found interesting results about intersite variability and regional dose distribution. While the 2007 survey showed a sevenfold difference between the study sites with the lowest and highest median DLP CTA (lowest and highest DLP CTA in 2007: 331 and 2,146 mGy*cm, respectively), this increased to a 37-fold difference in the 2017 survey (lowest and highest median DLP CTA in 2017: 57 and 2,090 mGy*cm, respectively). Furthermore, hospitals in Central and South America reported the highest doses, possibly due to old scan protocols still in place, while centers in Australia and East Asia had the lowest doses, possibly due to patient size in the latter region, with Europe revealing second-lowest doses, according to the authors. The large intersite variability in doses also prompted the authors to point to the need for more site-specific training and tailoring of contemporary cardiac scan protocols. Societies and vendors need to set up more training to promote dose-efficient scanning strategies for coronary CTA, which increasingly is being applied in clinical practice, according to Hausleiter. More specifically, lower radiation dose with sufficient image quality depends on low kVp, heart rate control -- which optimally should be 60 bpm or less when scanning with a dose-efficient protocol -- prospective ECG-triggered scan protocols, and image reconstruction techniques. "If you can't maintain image quality, there is no point lowering the dose further, considering that existing doses are already relatively low," Hausleiter noted. Vendors in particular need to prioritize inclusion of dose-efficient protocols in their products that may yield slightly noisier images but generate far lower patient dose with good diagnostic quality, he added.